Thank you for clicking on Done Rite Party Rentals in your web search for available bounce house businesses. We are just the right party rental company for the city of Indian Rocks Beach in Pinellas County, Florida. In the early 1920’s Indian rocks Beach was developed as a weekend getaway for the wealthy and was dubbed “Tampa’s playground” when the rich mainlanders traveled by railroad from the city to the beach to get away from city life. In present times, people have adapted the playground scene of old Indian Rocks Beach to throwing birthday parties and other special occasions with the use of inflatable bounce houses, moonwalks and water slides. One legend that explains how Indian Rocks came by its name has it that Native Americans walked across protruding rocks from the water to cross from the mainland to get to the island for purposes of fishing. Thus, the area became known as “Indian Rocks.” It’s not hard to picture the difficulty of navigating across that narrow spot. As sure footed as the men may have been, the path would have been jagged and uneven so balancing and “bouncing” would have had to been the norm. It would have been much more fun if the “bouncing” had been in a bounce house, Of course, there was no such thing in those times so how lucky are the residents of Indian Rocks Beach to live in a modern age where our bounce house rentals are available? We are a local family that has the pleasure of putting joy into the lives of folks who live in Indian Rocks Beach. 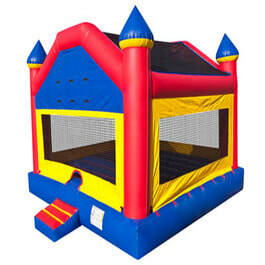 Our rental line of party equipment (bounce houses, castles, water chutes and party games) is extensive. Birthday parties have taken on a new look over the years and bounce houses are currently very popular with the youngsters. Trampolines have always been a source of amusement for kids and adults. Our inflatable bounce castles and houses are much greater alternatives just for the safety issues alone. Inflatable bounce houses are enclosed which keeps the falls confined as compared to trampolines from which a fall can end up on solid ground. Our bouncers are available in various shapes and sizes. Some are even big enough for an adult to fit into. We also offer water slides for rent. A water slide is basically a bigger and better version of a “slip and slide” and our slides range in size to accommodate both the little ones, as well as, adults. Ask about Done Rite Party Rentals choice of themes for our inflatable bounce houses. Birthdays aren’t the only special occasion for which Indian Rocks Beach residents can rent our bounce houses and water chutes. 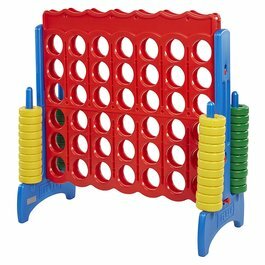 Liven up a company picnic by bringing in one or more of Done Rite Party bounce castles or rent an inflatable for the church fundraiser. Any special occasion is cause for celebration. Al party inflatables are cleaned and sanitized before and after use. Our company delivers and sets up bounce houses, castles, moonwalks and water slides and each bounce ride is secured firmly for safety. Timing is important when hosting a bounce house party...our bounce houses and/or water slides will arrive and be in place at its Indian Rocks Beach designated place well before an event sees its first guest. Once the party has ended, our Done Rite Party Rental tech will take down and remove all bounce buildings and related party rentals. 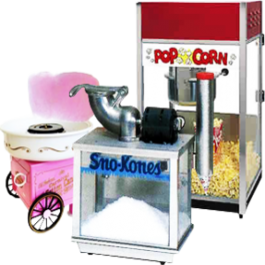 Done Rite Party Rental inflatable rides bring a celebration to a higher level of entertainment when partying in the city of Indian Rocks Beach. 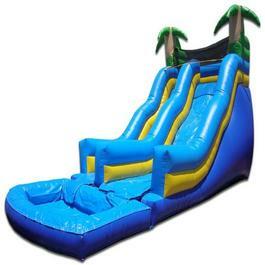 Rent just one or put together a package combining bounce houses, water slides and games. 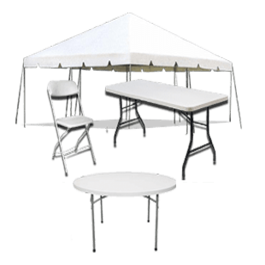 Done Rite Party Rentals is licensed and insured and follows the city of Indian Rocks Beach codes.